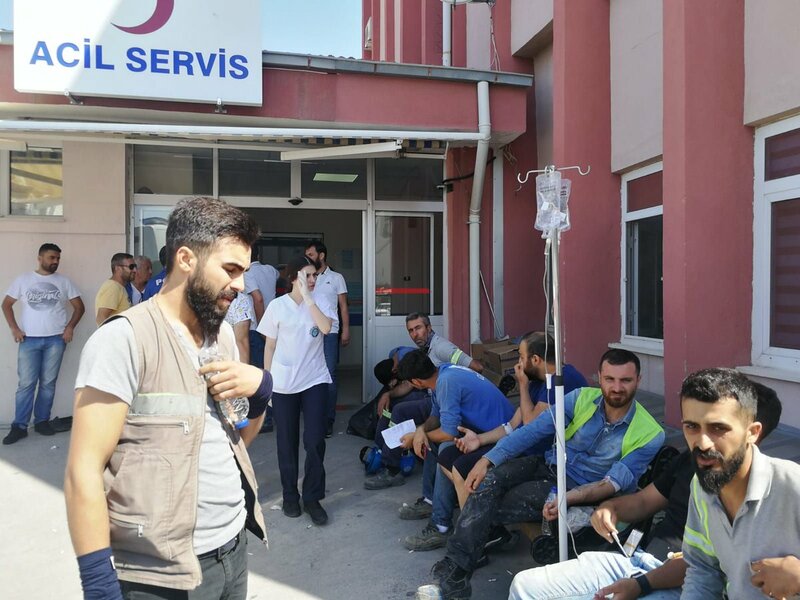 Hundreds of workers at Star Refinery, a Turkish subsidiary of Azerbaijani oil monopoly SOCAR located in the western province of Izmir’s Aliağa district, were poisoned due to food provided by Akyıldız Catering, a pro-government catering company, and taken to the hospital on July 18. While some sources claim that 700 workers have been poisoned at Star Refinery, some of them report that the number of poisoned workers is more than 1000. It is known that there were also several poisoning cases in the Akyıldız Catering before and no authority could impose punishment against this company up until now. It is claimed that the catering company is owned by a person who has strong affiliations with the ruling Justice and Development Party (AKP). Workers had wedding soup, meatballs and dessert on the menu for dinner. 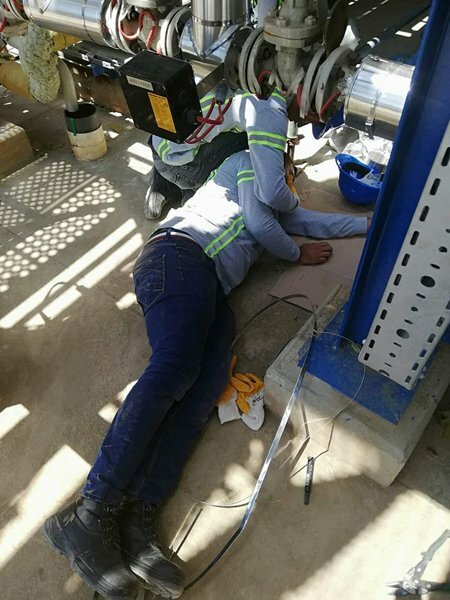 Soon after the dinner, workers began to apply to the medical room of the refinery with complaints of the tummy ache, vomiting and nauseation. Workers’ complaints increased as from the midnight. Upon this, workers applied to nearby public and private hospitals particularly to the Aliağa State Hospital and Menemen State Hospital. As the prosecution office has launched an investigation regarding the poisoning cases, it has been reported that the samples from relevant food were taken in order to analyze them in the laboratory. Star Refinery had been previously brought to the agenda with several poisoning cases. Workers had been again poisoned due to food provided by the catering company in May and July 2017. Despite the previous cases of poisoning, no authority has dared to punish the Akyıldız Catering company. The patrons of Star Refinery continued to buy catering service from this company. The Akyıldız Catering is known to be close to the AKP government, and that’s why the firm is being backed by the refinery administration, workers note. In June 2018, subcontracting workers at SOCAR investment Star refinery had protested the rotten food provided by the catering company in their workplace. Workers had said that they cannot eat the meal served since the chicken dinner smelt bad. Noting the previous cases of food poisoning, the workers said they want food worthy of humans. Star Refinery started operating in Izmir following the privatization of Turkey’s first petrochemical plant PETKİM. PETKİM was privatized by the ruling AKP in 2008 and 51% of its shares were transferred to SOCAR Turkey in 2011, while 39% of the shares were public securities. As a SOCAR investment, Star Refinery also acquired some landed property of PETKİM in 2011. Having signed the largest loan agreement with the longest term in the history of Turkish real sector, Star Refinery has become one of the largest oil and gas project finance operations in Europe, Middle East and Africa region.